The animal forms of vitamin A (retinoids) are found in foods such as eggs, liver, cheese and whole milk and they are different from the plant form (beta carotene) that is mostly present in carrots, sweet potatoes, winter squash, spinach and kale, and fruits like cantaloupe and apricots. Having optimal blood vitamin A levels is key for good vision and eye health, immune system strength and maintenance, growth and development (especially for young children), skin health, lower levels of skin aging and decreased risk of night blindness and eye dryness. Retinoids are used as treatment for acne and various skin problems including skin wrinkles with both oral and topical treatments showing effectiveness. Dry skin and measles are medical conditions resulting from vitamin A deficiency and taking retinoid supplements is the recommended cure. 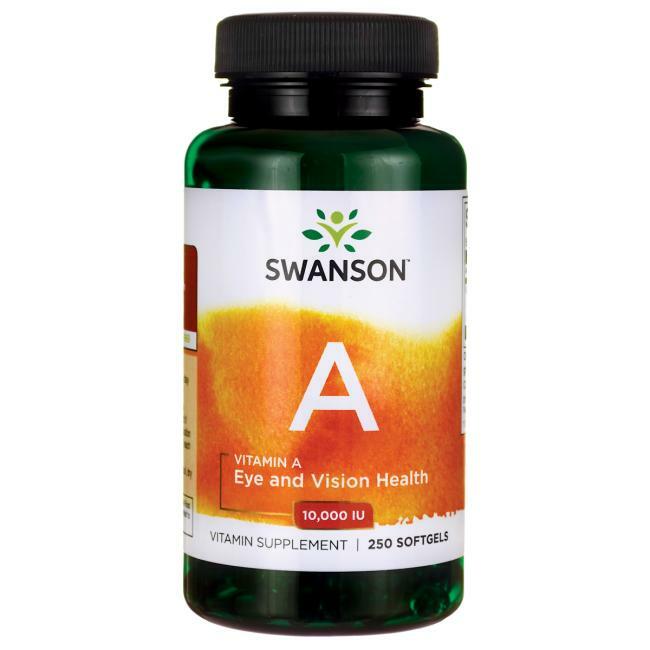 There is a possible treatment effect of vitamin A for different types of diseased states including leukemia, different forms of cancer, HIV, and cataracts with ongoing studies testing the effectiveness of vitamin A supplementation. People with poor diets and gastro-intestinal problems leading to poor absorption of nutrients are at an increased risk of vitamin A deficiency so supplementation for them is recommended. Since this essential nutrient is fat soluble it is optimal to take it with a fatty meal. Caution should be applied when taking high levels of vitamin A if the users are smokers or heavy drinkers. Also, since vitamin A is fat soluble it can accumulate in fat cells for long term storage. If high intakes are taken continuously for too much time vitamin A can accumulate and cause liver and kidney issues so intake of this supplement is better to be periodic rather than continuous. Other ingredients: Soybean oil, gelatin, glycerin, purified water. WARNING: Women who are pregnant or likely to become pregnant should not use this product.